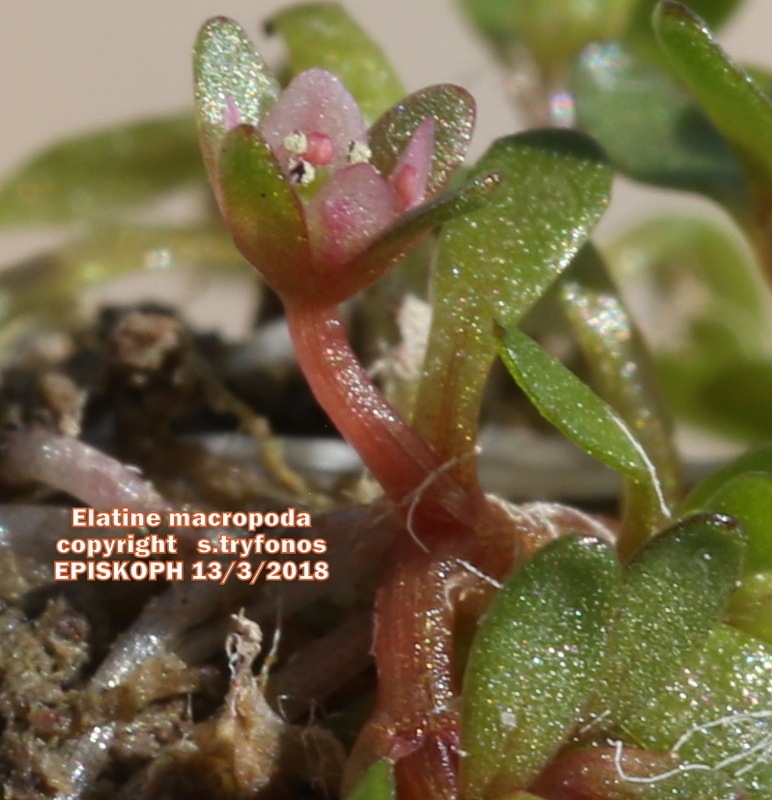 Scientific name/Επιστημονικό όνομα: Elatine macropoda Guss. 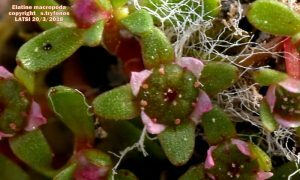 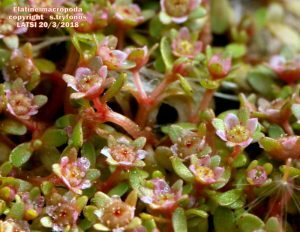 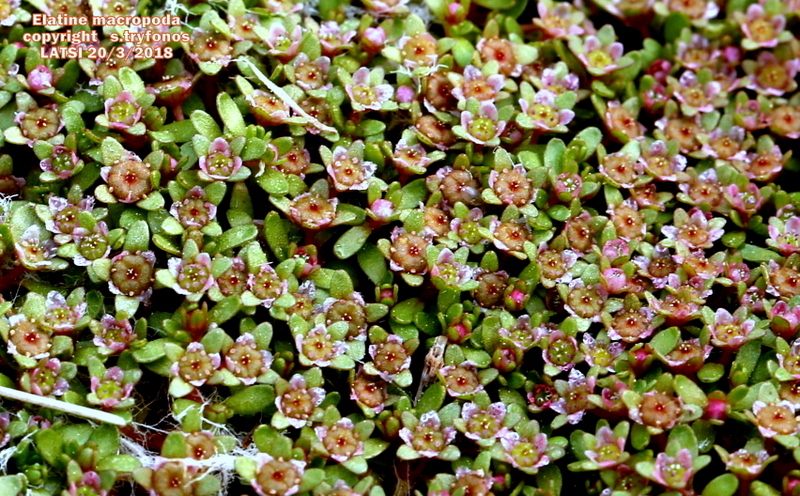 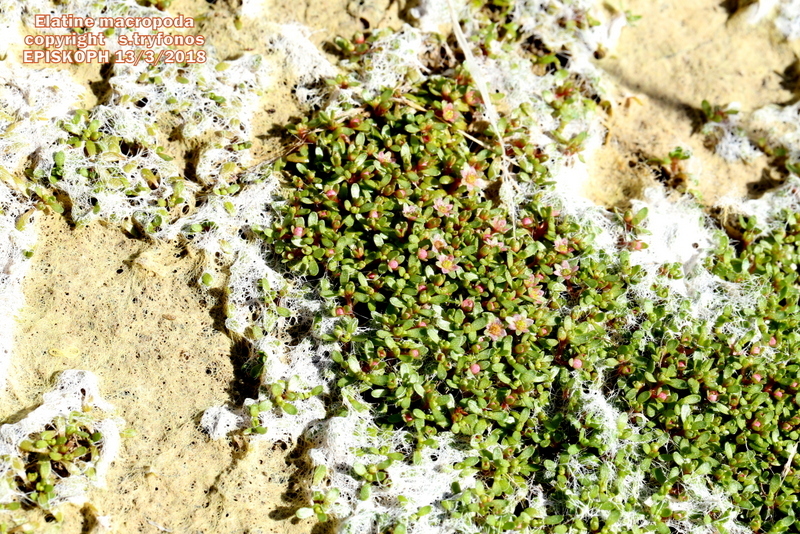 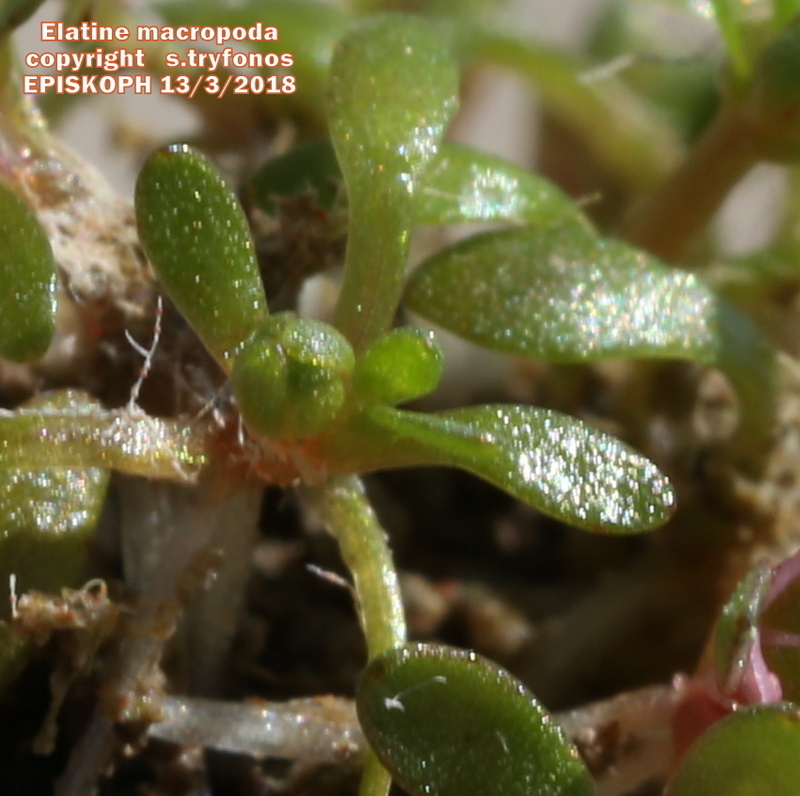 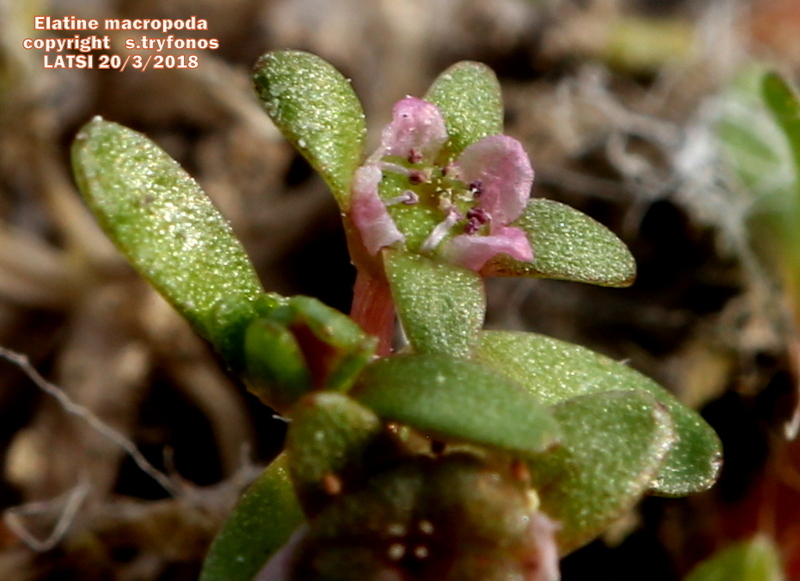 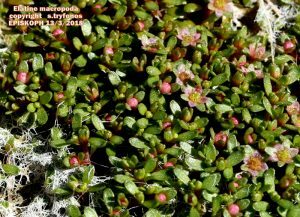 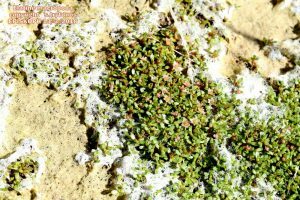 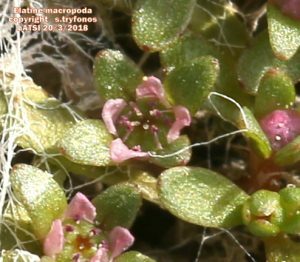 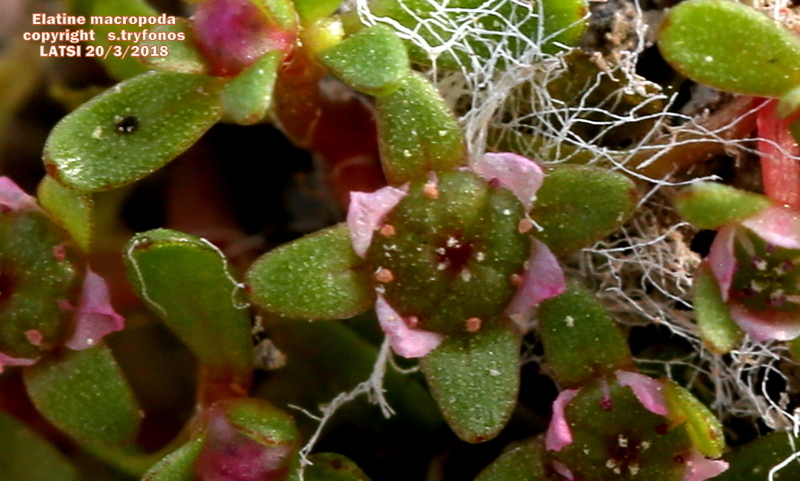 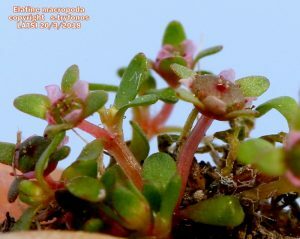 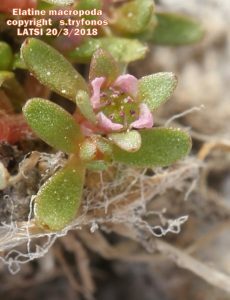 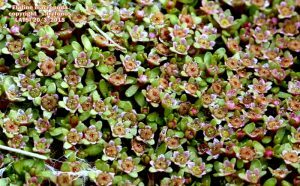 Elatine macropoda is an annual amphibious small plant, living on the mud of temporary small pools, created by the limestone’s erosion. 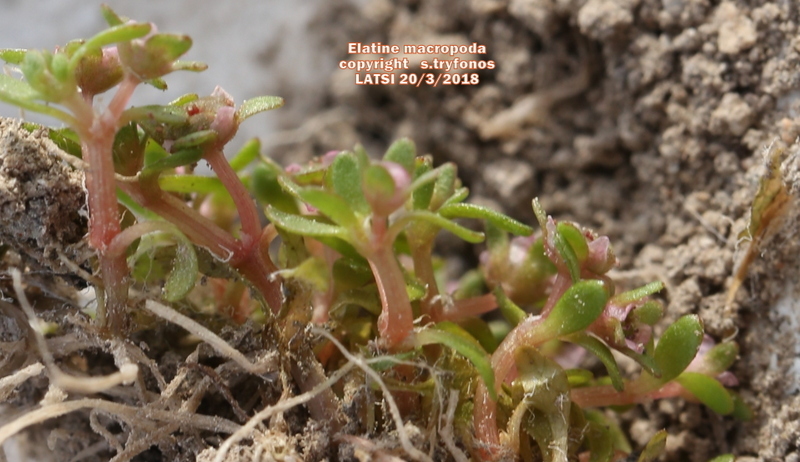 Stems branched, glabrous, often reddish, prostrate, trailing, rooting at the nodes. 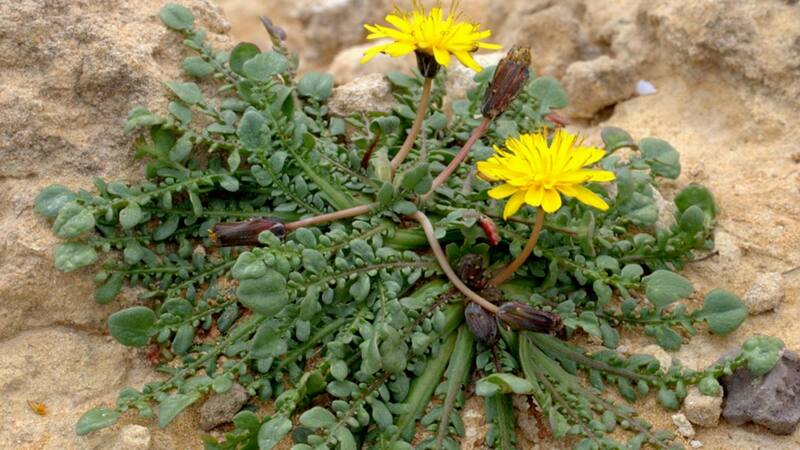 Leaves opposite, simple, entire, obovate, petiolate, subglabrous, apex obtuse. 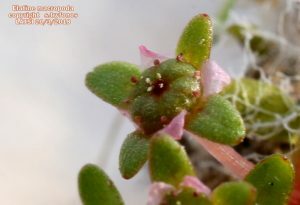 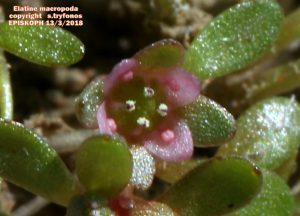 Flowers very small, hermaphrodite, actinomorphic, solitary and axillary; sepals 4, oblong-ovate, green, apex obtuse; petals 4, much smaller than sepals, oblong-ovate, white or pinkish, glabrous, apex obtuse; stamens 8, anthers pinkish, filaments white-pinkish, often bending towards the center of the flower; ovary superior, 4-locular, depressed, rounded in outline, green and glabrous; styles 4, stigmas 4, white; flowering time Feb-March (April). 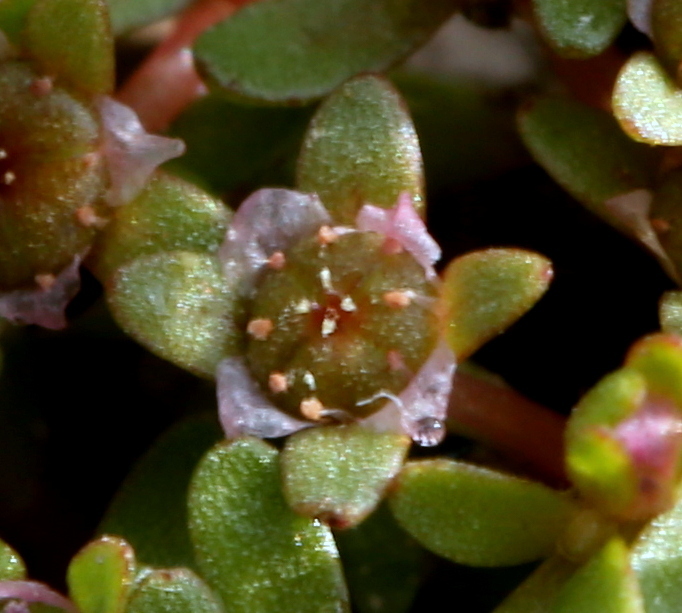 Fruit is capsule. Native to Europe, Mediterranean region and Northern Africa. 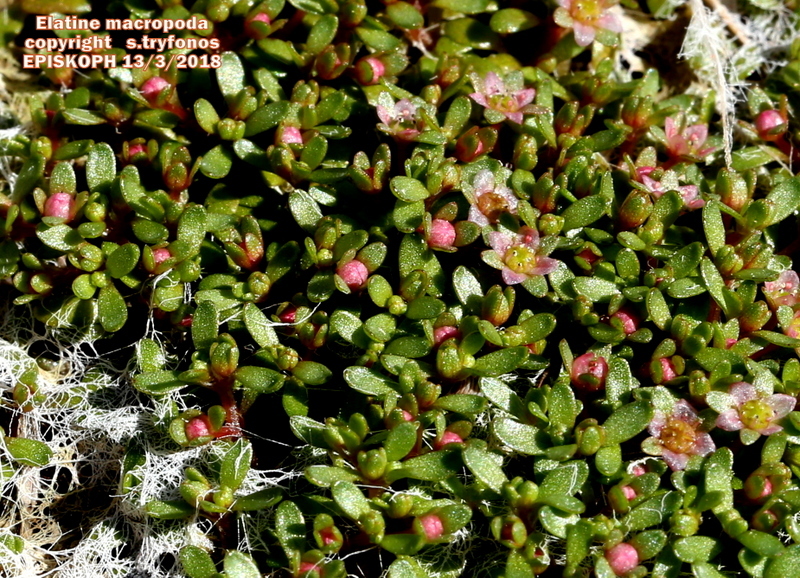 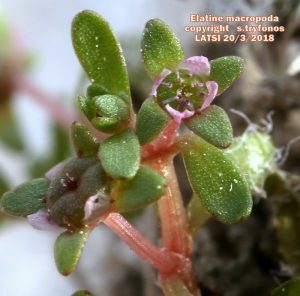 Uncommon plant in Cyprus and it is found on the mud of temporary pools on limestone rocks, from 0-200m alt.